All former Collinsville High School Girls Basketball Players will be honored at halftime of the Feb. 14th girls basketball game. 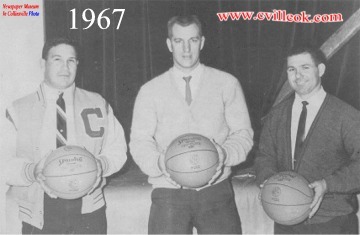 Join us in presenting a Lifetime Achievement Award to Coach Howard Ray and Blackie Henshall. Let's make this a Cardette and Lady Cardinal Reunion! Purchase a 1 time only "Always A Cardinal" T-shirt only available to former Collinsville Players. $15.00 Pre Order your shirt by texting Kendra Salisbury 918-857-5566 or Susie Vaughn 918-527-4521. 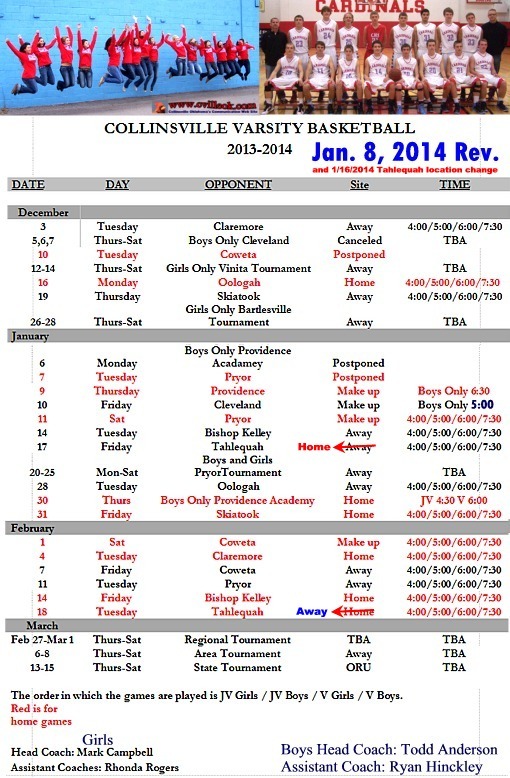 Please post this on social media, share with former teammates, and help us spread the word! Lets see which former team can get the most players together! Can you please post this on your website? We are wanting as many former Cardettes and Lady Cardinals as possible to be honored on homecoming. 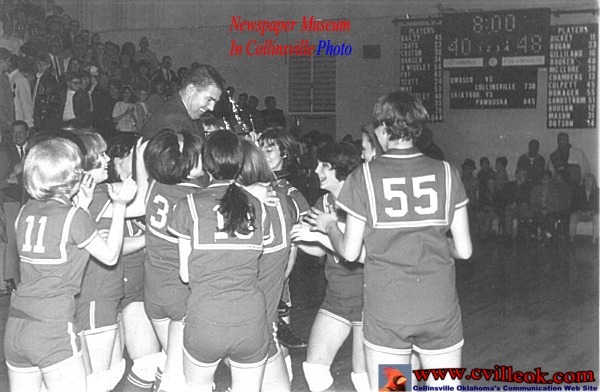 Howard Ray was coach (assisted by Ray Henshall) when the Collinsville Lady Cards won the 3A State Championship in 1984. L-R: Maybelle Keith, Edith Rogers, Mary Merle Buckles and Theressa Colburn, and Amy ____?.